There used to be a time when I shop things for Isabel but now that she's a teener, she's starting to develop her own sense of style. 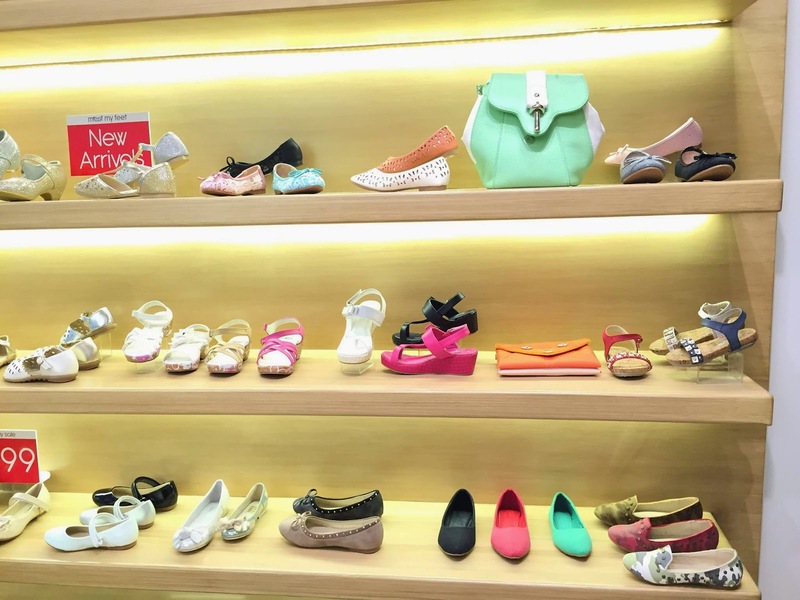 Aside from choosing her a pair, she also considers a footwear that can go with most of her clothes, and something that is reasonably priced. She's quite wise for her age so I don't really have any qualms whenever I tell her to decide for herself. I mean, she's at an age wherein she needs to discover and do things on her own. Of course, my hubby and I are always generous when it comes to giving her advice, thus subtly helping build her self-confidence. I came across Meet My Feet shoes a long time ago when my daughter was still in pre-school. 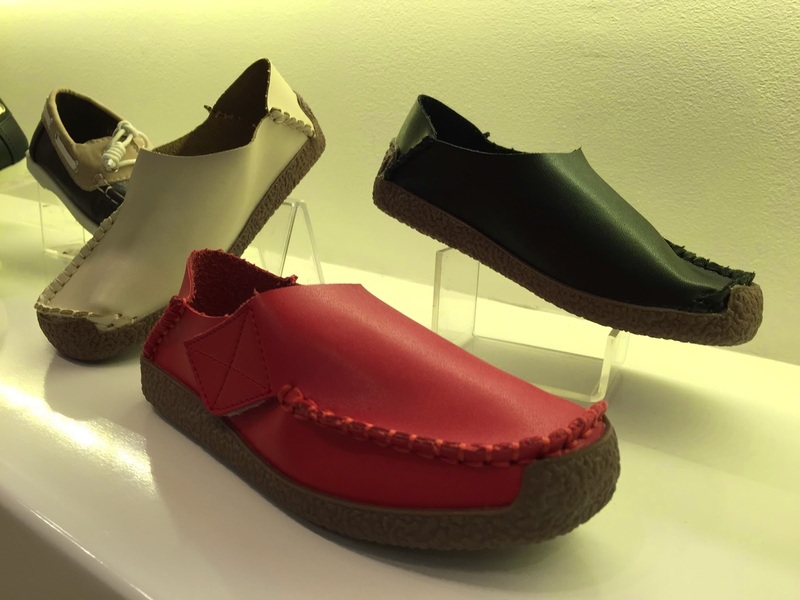 I remember they have a store near Rustan's in Shangri-La Plaza and their matching Mom-and-Me shoes was quite memorable. And I didn't even know that they have a store in Glorietta nor do they have sizes for older kids. These shoes looks so comfy. It was displayed at the "boys" rack but the sales staff quickly mentioned that the design is unisex. Kids like "blings" too. These footsies looks so adorbs that I'm wishing my daughter is still a little girl so that I can get a pair for her. Here are some of the choices of the little ladies and the mommies. I love that the colors are cheerful. Aside from shoes, they also have some bags for the little miss. 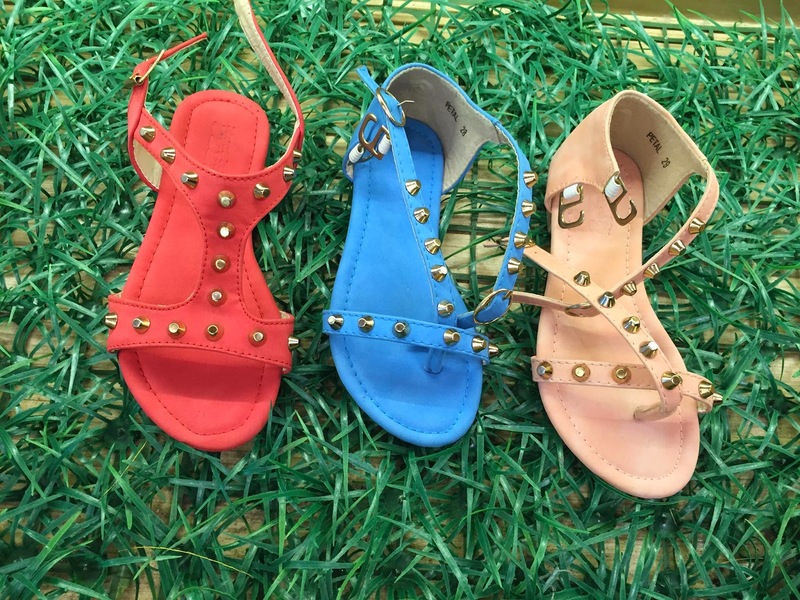 These sandals here are not only comfy but fashionable as well. By the way, sizes are from toddlers up to size 39. Wow! I mean, its really a shoe-store for moms and kids and big kids. Here's my daughter trying out a wedgie that I secretly wanted for her. Alas, she said its too girly for her that she might not use it so "sayang lang," her own wise words. 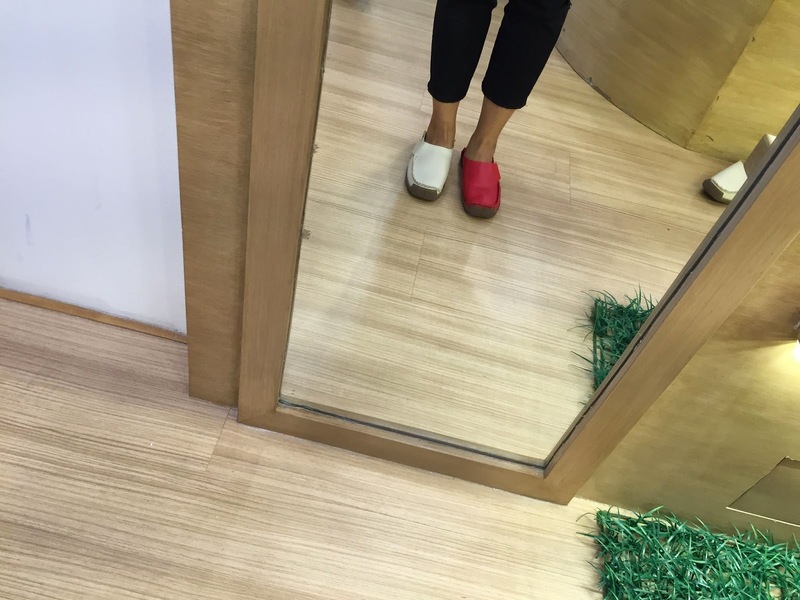 When shopping for shoes, comfort plays a big role for me since I walk a lot. I mean, as a mom, I have tons of errands which includes accompanying and fetching my daughter from school. And that's about 500 m + distance depending on which gate we enter. So I really like a footwear that is comfortable. The first words that I uttered when I wore this pair was- "ang lambot!" (so soft). No kidding. It was really hard to choose which color since both shades are lovely, not to mention my feet feels like their in marshmallow heaven. You really have to own a pair to know what I'm talking about. What I also like about these shoes is that you can pair with with jeans, shorts, or even dresses. Nice driving shoes also. And I forgot to mention the best part- they are having a sale so better hurry with your mini-me and get a pair or two. Price ranges from P499 to P1,199 for regular items and P199-P399 for the sale items. I hope they open a branch in Robinsons Galleria! They have a mid range price and I love their designs. We can't have too many designs to choose from. Love shoes too, can't seem to have enough of them. Will definitely check out their Trinoma branch! i love soft shoes too. And the wedge looks good on your daughter's feet. Kaso yun nga, baka nga sayang lang. Oh I love the pink one! My daughter would love that! Went to their Festival Mall outlet and the wedge booties immediately caught my daughter's interest. We went home with 2 pairs in different shades. 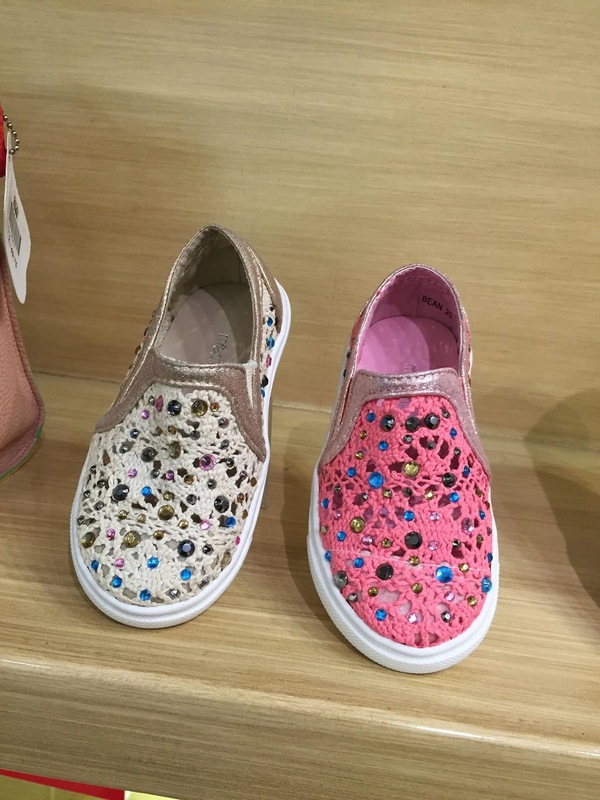 My eldest daughter is now shifting from kiddie to more pang dalaga na shoes. I'll check their branch in Fairview Terraces. I'll let my cousins know about this place! I wish we had one where I was! Thanks for sharing! 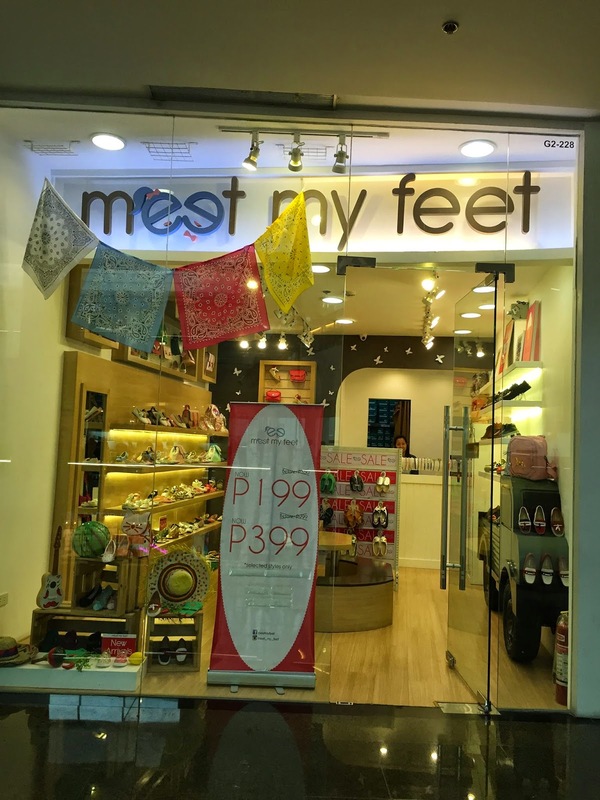 There isn't a Meet My Feet store here in our place but they do have lovely shoes and bags as I can see in your photos.